You will be reading Hebrew by Hanukkah. Guaranteed. Give yourself the gift of a lifetime. The gift of your heritage. 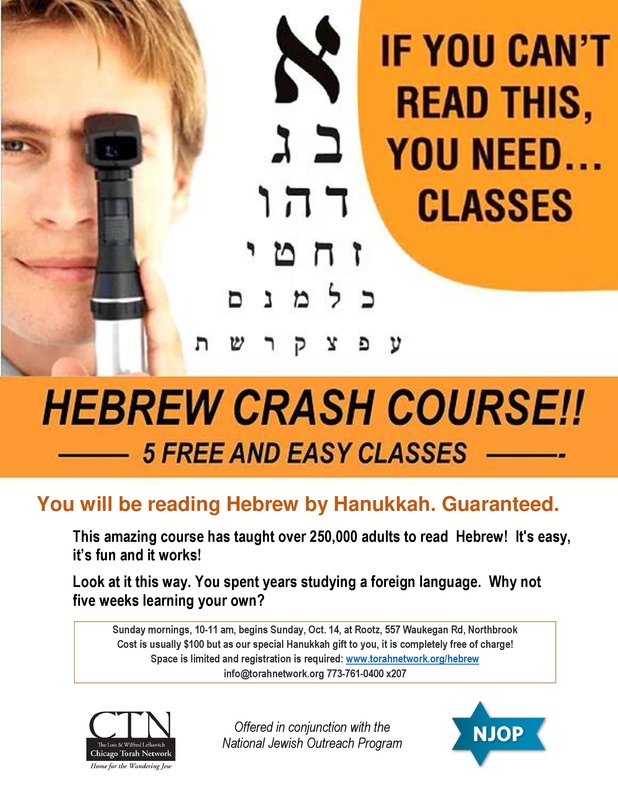 Now you too can read Hebrew! 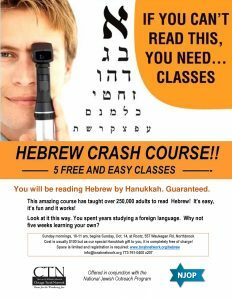 This amazing course has taught over 250,000 adults to read Hebrew! It’s easy, it’s fun and it works! And as our Hannukah gift to you, this $100 value course is yours completely free of charge. And this year, celebrate Hanukkah from right to left! Questions? Email us. Registration (free) is required. Please use the link below.